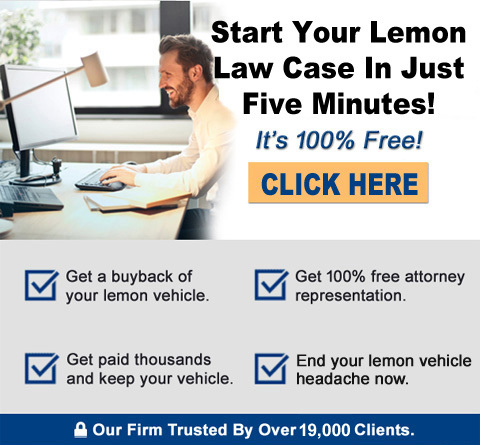 One of the most challenging aspects of pursuing a potential lemon law claim is procurement and organization of purchase/lease, financing and registration documents. The next is properly worded warranty repair documents. We will take a look at the 4 different documents which are relative to a California lemon law case. The “Repair Order”. This is the more commonly known as the “write-up” copy at the car dealership. The car dealership Service Advisor asks you what your complaints are, and (hopefully) he/she enters them into the service computer as you have dictated it. The “Repair Order” is also given to customer to review for accuracy prior to signing it. It is after the signature that a copy is given to the customer. The “Repair Invoice”. This is the single most important documents for your “warranty repair” file to keep at home. This “Repair Invoice” is the copy the dealer gives you that “closes out” or “completes” the repairs for that visit. It will have “miles in/miles out”, as well as “date in/date out” It will also have in text what diagnosis/repairs, etc. that were performed on your vehicle. The “Service Drop of Form”. THIS is a consumer “no-no”. This is simply a form that the customer OR service advisor hand writes with customers complaints. This is not an official warranty repair order document, and likely will not generate a “repair order invoice” when the consumer goes back to pick up his/her vehicle after repairs are completed. The # 1 cause for a consumer saying “I don’t have any record of that repair”. Demand a “Repair Order” and a “Repair Invoice” for every service visit with your vehicle. The “Warranty Repair History” printout. Every dealership links, via computer, to the manufacturer. There is database on every car, by VIN number (Vehicle Identification Number). Any service advisor or manager at a dealership can enter your “VIN”, and produce a plain paper printout of your vehicle’s entire warranty claim history. This is available in two versions – the “summary” and the “complete” version. You do not want the “summary”, you want the expanded “complete” warranty repair history. If you can only get the “summary”, it’s better than not having anything at all. If the Service Advisor will not produce it, see the Service Manager or Director of Service. You are entitled to the warranty history on your vehicle. You may likely be required to produce a driver’s license and current vehicle registration in order to prove you are the owner of the vehicle. There are many potential pitfalls to getting properly written/executed repair documents. Here is a “quick reference list” that will help later on in any potential “lemon law” action. Consumers should always have the Service Advisor write up the Repair Order in your worded description of the symptom. Consumers should always review the Repair Order before signing it. Consumers should always get a signed copy of the Repair Order. Politely refuse hand written “Service Drop off Forms” that are offered to you. Request a “Warranty Repair Order” to be completed for your signature. If a dealer calls you and says “come pick up your car, we are going to hold the repair order open while parts are on order”, do not pick up the vehicle until they “close out” the present repair order via and give you a “Repair Invoice”. This dealer tactic makes 2 repairs into 1, thus decreasing the number of “repair attempts” as recognized by our California lemon law. Always ask the dealer if he/she has your “Repair Invoice” ready before you go to pick up your vehicle. If there are parts on order for your vehicle, and the dealer does not want to “close out” the repair order, simply tell the dealer to list the “SOP” (special order parts) as “special order parts – customer to return when parts arrive”. That will do it. You need to inspect the “Repair Invoice” for accuracy. Did the dealer have the correct number of days referenced in the “date in/date out” section, memorializing the correct number of days your vehicle was down for warranty repairs? You, the consumer, must “police” your Repair Invoices for accuracy, and have the dealership re-print it with corrections made. Another way is to have them hand-write it on the Repair Invoice, and add their signature and date. Remember, a dealership is not required to reproduce “Repair Order” invoices for you simply because they are lost, misplaced, etc. It is the responsibility of the consumer to get and keep good warranty repair documentation.